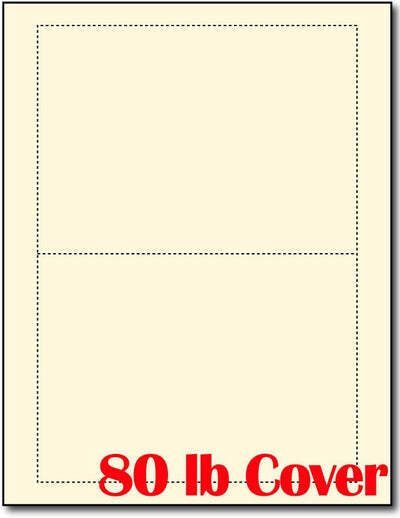 Our Blank Heavyweight Cream Postcards come on an 8 1/2" x 11" sheet and come 2 per page. Each postcard measures 5" X 7", and they can be used as either postcards or even invitations. These postcards are both inkjet and laser printer compatible and are microperforated for easy breaking and cleaner edges. Made from 80lb cover (216 gsm) cream cardstock.